Looking for the latest market research and trends in the UK market? Interested in consumer behaviour and spending habits? Want to find a brand’s market share and who the key players are in its market? For this and more, you need to check out Mintel! Mintel’s market research reports cover most of the UK’s consumer markets. Reports can provide an excellent overview of the market, by offering company profiles, a SWOT analysis, forecasting information and more. Once logged into Mintel, just use the search box at the top of screen to search for a specific word or phrase. You can also use the use the ‘Category Overview’ menu to browse reports by area of interest. This is particularly useful if you want to browse by a specific sector, theme or demographic. Once you have carried out your search, from the results page, simply click on a title to open the report homepage where you can access the different sections of the report. On the right of the page, you may also have access to Analyst Insights – relevant articles and news related to the report. There’s also a downloadable report presentation and infographic overview. Open an individual section for any report and select the option at the top to ‘Export to Basket’. Use the drop-down menu just above this to toggle between report sections, and export each section individually. When you have all the sections you need, click on ‘Export Basket’ (at the very top right) to view the selected sections. Select the items wish to export using the tick boxes on the left and choose your preferred download option on the right – e.g rtf (MS Word-compatible) or zip file. Due to the size of report files, you may wish to convert the file to PDF before saving it. 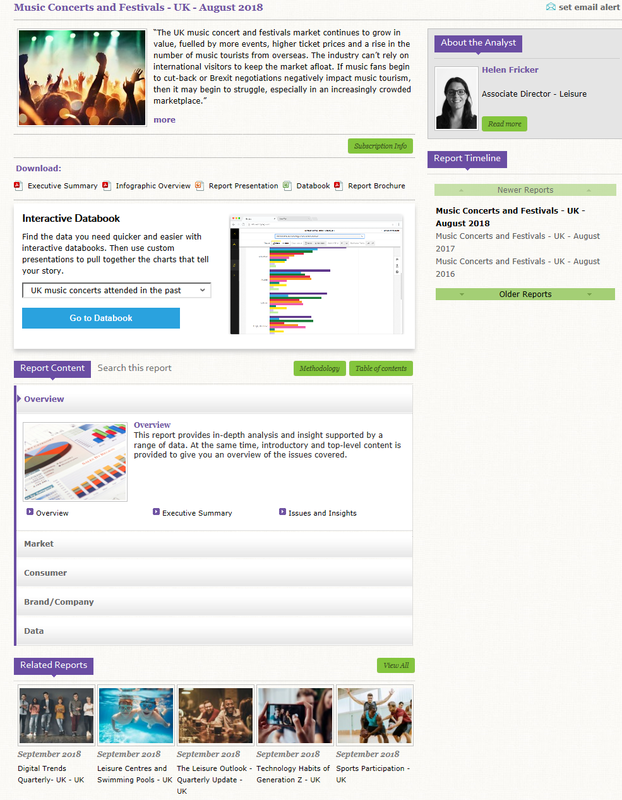 Access to Mintel is available from the Electronic Business Resources page on the MIRC website and KNL intranet site. Please note that you will have to accept Mintel’s Conditions of Use to access the site. If you have any questions about Mintel or any of our other resources, please contact us in MIRC or KNL.